Laurie Anderson Finds 'New Ways To Breathe' In A Philip Glass Etude : Deceptive Cadence The veteran performance artist admires the skipping rhythms and calm center in the piano Etude No. 10 by Philip Glass that she says lies just beyond her grasp. Editor's Note: On Jan. 31, Philip Glass turns 80. We're marking the event by asking a few of his collaborators and colleagues to write about him and his music. 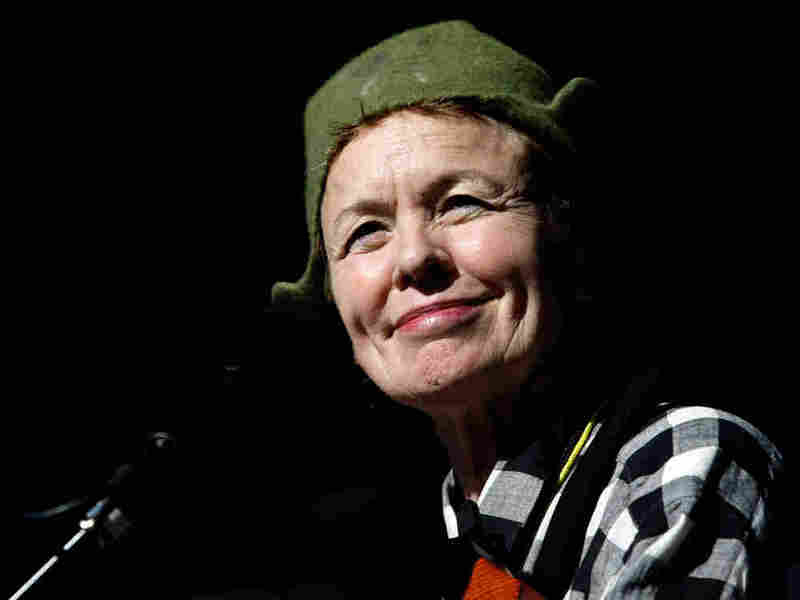 Laurie Anderson first heard Philip Glass' music in the heady days of lower Manhattan's SoHo loft scene in the early 1970s. Look for essays this week from Errol Morris, Nico Muhly, David Lang and Paul Simon. Philip Glass' Etude 10 is one of my favorite works. And it's my favorite because I have had to learn it well enough to play along with it, improvising and riffing on violin. I've played the piece with Phil several times now and I always find something new to focus on, a harmony I didn't know was there or a new, skipping rhythm I hadn't noticed. Like much of Phil's music, there is a stillness to it that is really breathtaking, and I literally find new ways to breathe while listening to and playing his music. The closest experience I have to this calm center is meditation. The melodies and motifs of his work become an intricate mantra full of interlocking series of patterns. Each time I play the etude I find a new way to slide between and over phrases. But so far I haven't understood it well enough to play deep inside it. This elusiveness makes it even more beautiful.